Escape to the mountains with your special someone for a romantic Getaway at the Splish Splash pool cabin. 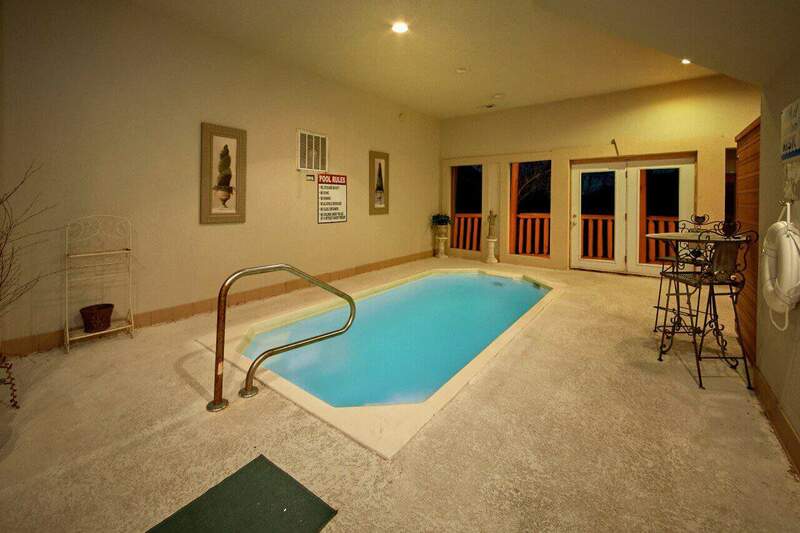 Enjoy your own private heated indoor pool and romantic heart shaped Jacuzzi tub. Play inside on your pool table and relax outside on your covered deck with rockers, seating and gas grill. 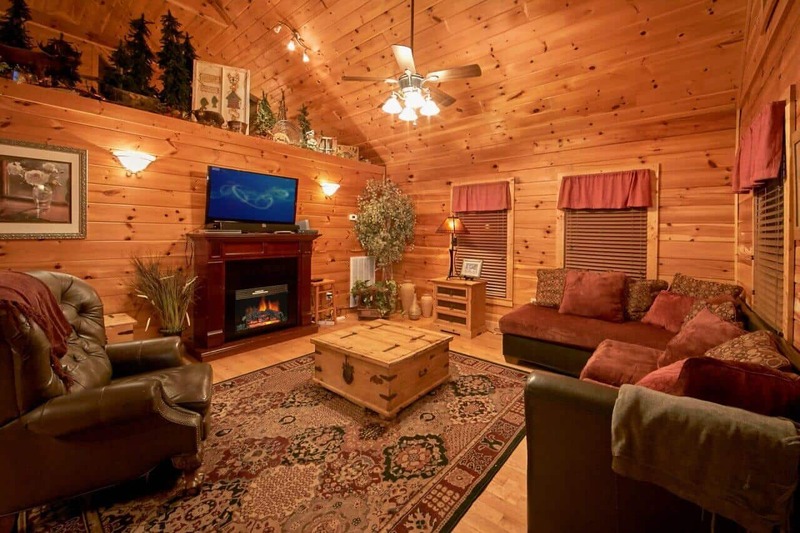 *** This cabin is new to our rental program so there are limited advanced bookings creating a great opportunity to book and stay in this cabin. 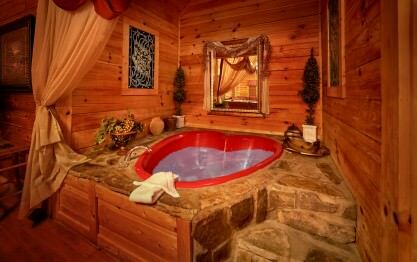 Retire to the romantic king suite after soaking in your 101 degree hot tub. 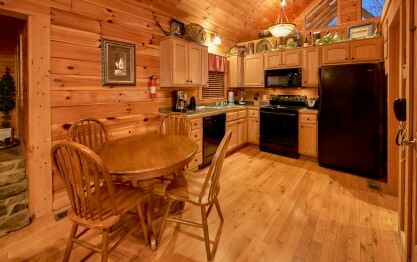 Prepare in cabin meals with your full kitchen and enjoy free high speed wireless internet and cable TV. 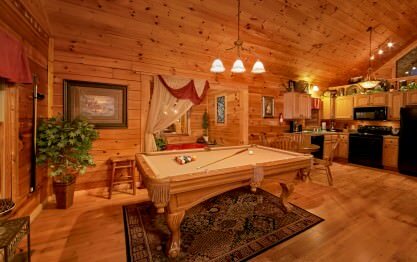 This cabin offer the flexibility to bring the kids as there is a queen sleeper sofa in the great room. The Splish Splash cabin is located in Wears Valley and while secluded it is just 10 minutes to all the fun in the center of Pigeon Forge and just 15 minutes to Dollywood. "Beautiful Relaxing and Family Fun"
Thank you for your fantastic 5-star review, Nicole! It sounds like you chose the perfect cabin for you and your family to relax in, have fun and enjoy some times away from the hustle and bustle of everyday life. We certainly agree with you! The amenities at Splish Splash are perfect for kids (and adults) of all ages. We really enjoyed having you as our guests, and we hope you will make plans to visit with us again on your next trip to The Great Smoky Mountains. We encourage guests to book direct and save up to 15% on your booking. Hurry back, new memories are waiting to be made! We enjoyed our rental with Elk Springs. This is the second time we’ve rented a cabin with the perks of our own pool. We look forward to returning again. Thank you for your fantastic review, Victoria! Splish Splash is a beautiful cabin with lots of amenities for the entire family to enjoy! We encourage guests to book direct and save up to 15% on your booking. Splish splash is a really nice cabin! We would definitely consider staying here again. Elk Springs has very friendly employees and is very informative. There was a lot of flooding while we were there …and we received texts from Elk Springs informing us of unsafe road conditions. We’ve never had a rental company do this before. Thank you for taking the time to share your wonderful experience with us, Jerry! We are delighted to hear you enjoyed your stay. We want you to feel at home during your visit and strive to provide exceptional service throughout every aspect of your stay. We enjoyed having you as our guest and would consider it an honor for you to stay with us again. Remember, as a repeat visitor you will save 10% on future stays. Thank you! "My New Years getaway "
Thank you for your wonderful review, Leesa. We are delighted to hear you enjoyed your recent stay at Splish Splash. 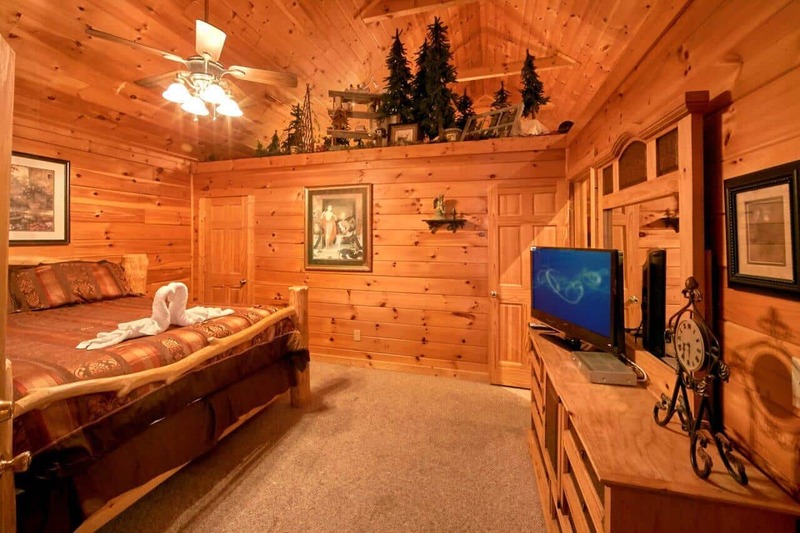 You certainly chose a beautiful cabin to relax in and enjoy the peaceful mountain scenery. 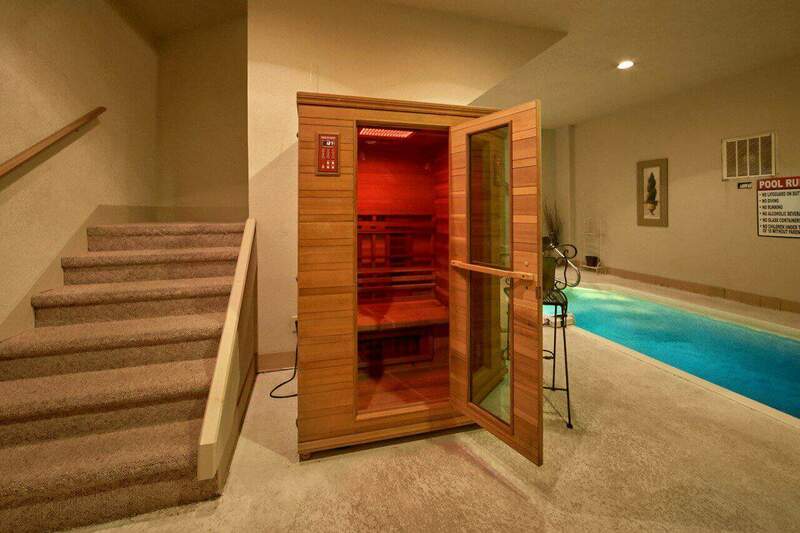 The sauna is one of many top-notch amenities to enjoy during your visit. We hope you will make plans to visit with us again on your next trip to The Great Smoky Mountains! Please keep in mind, as repeat visitors your will enjoy 10% off all future bookings. We hated to leave. Everything was presented in excellence. 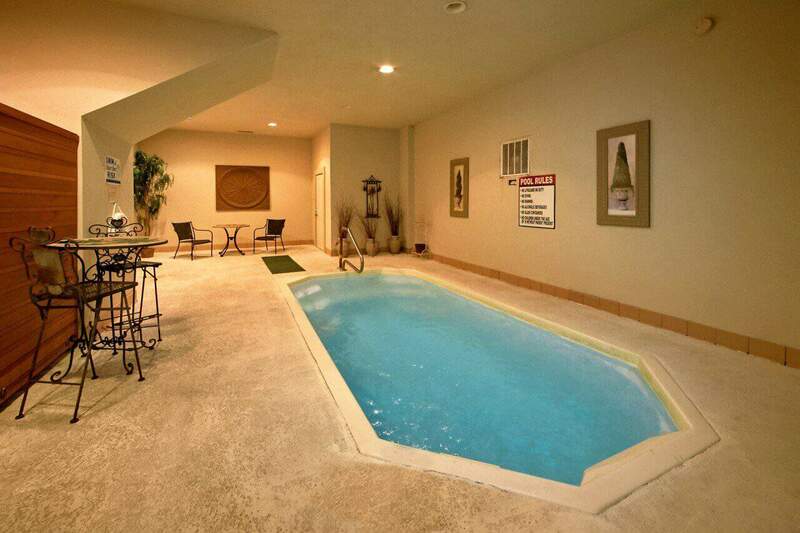 The indoor pool was an added touch of class...loved it! We had a maintenance issue and the staff was very prompt and courteous in addressing it. Can't wait to return. Great job Elk Springs! Thank you for your wonderful 5-Star review, Solomon! We are delighted to hear we exceeded your expectations. Thank you for contacting us when you discovered an issue at the cabin. As you experienced firsthand, we provide 24/7 guest assistance to ensure any need that arises can be resolved quickly. We sincerely apologize for any inconvenience experienced and hope you will consider staying with us again in the future. Thank you for your wonderful review, Heather! We are happy to hear your stay was exceptional. We enjoyed having you as our guest and hope you will consider staying with us again in the future. Easy and painless rental. I liked that I didnt have to actually have to interact with any staff at any point. Made the trip very painless. No problems with the stay at all. Cabin was clean and well ke…pt. Area was beautiful and quiet just like I had hoped for. Will rent again if vacationing in this area again. Thank you for your fantastic 5-star review, Ryan! We strive to ensure that each trip is exception and our check-in and checkout process is a huge part of that. It is crucial to us that as our guest you know we are here for you should you need anything all during your stay, however we do not wish to waste any of your vacation time going over procedures and paperwork. 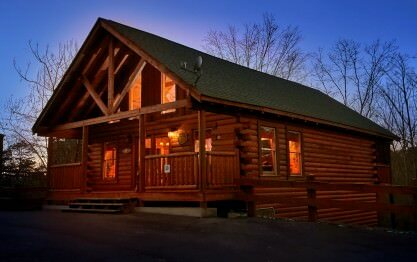 You certainly chose a great cabin to have fun and escape from the hustle and bustle of everyday life. Splish Splash is full of top-notch amenities and is perfect for a quite, relaxing getaway. We look forward to your next visit with us. Please keep in mind, as repeat visitors you will enjoy 10% off all future bookings! "Fall Time in the Smokies"
Had a blast on our 4 day stay at the Splish Splash Cabin in the Smoky Mountains! The cabin was beautiful and had everything we wanted. Pool was great and especially enjoyed the time in the hot tub on …the back deck overlooking the mountainside. Short 10 minute drive to all of the attractions in downtown Pigeon Forge. Thank you for your fantastic 5-star review, Timothy! It is delightful to hear that you had such a great stay at Splish Splash. 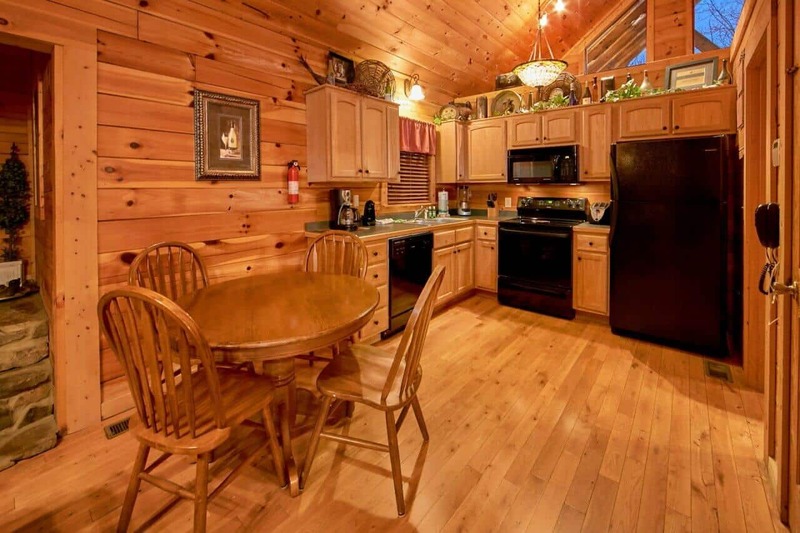 You definitely chose the perfect cabin to relax and create lasting memories together. 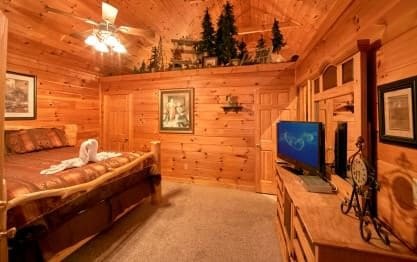 This cabin is full of top-notch amenities that everyone will enjoy, and as you mentioned is only moments away from downtown Pigeon Forge. We hope you will make plans to visit with us again very soon. Please keep in mind, as repeat visitors you will receive 10% off all future bookings. Hurry back, new memories are waiting to be made! Thank you for your wonderful review, Melissa! We are happy to hear you enjoyed your stay and hope you will consider staying with us again during your next visit to The Great Smoky Mountains. 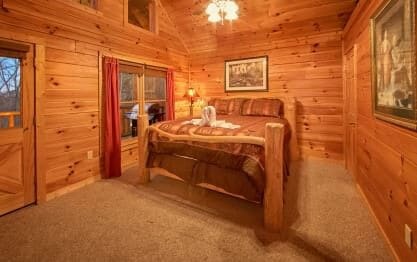 Me and my wife really enjoyed our stay in our cabin everything was perfect and was really clean inside, will definitely book another stay with elks springs resort...eveything was excellent..great job!! Thank you for your fantastic 5-star review, Paul! We are pleased that you and your wife had such a great time. Splish Splash is certainly a great cabin to have fun and enjoy the top-notch amenities offered. We look forward to your next visit with us. Please don't forget to mention you are a repeat visitor to enjoy 10% off your next booking. We are pleased to hear from another satisfied customer! It is wonderful that you enjoy your stay at Splish Splash. There are many top-notch amenities for the entire family to enjoy. We hope you had your camera handy to snag a few photos of the wildlife. We hope you will choose to visit Elk Springs again on your next trip to The Great Smoky Mountains. Hurry back, a new adventure awaits! Very nice place. Had a very good time. Thank you for your kind review, Christian! We are delighted to hear you enjoyed your stay. We enjoyed having you as our guest and hope you will consider staying with us again in the future. A great place to stay, very conveniently located near Pigeon Forge. Would definitely rent again. Quiet cabin just outside of town away from the crowd. Thank you for allowing us to be a part of such a memorable occasion, John! We are happy to hear you enjoyed your stay and hope you will consider making Elk Springs Resort part of your anniversary plans for many years to come. We have been renting for some time now and this cabin is the best my kids love it and the pool was very nice..definitely going back again. Thank you for your fantastic 5-star review, Basil! As always, we love hearing about great family experiences. We certainly agree, Splish Splash is a great cabin to relax and enjoy the top-notch amenities. It would be our pleasure to serve you again very soon! We spent the weekend with our two kiddos and we had a great time!!! Our girls wanted to spend the entire trip in the amazing pool and super relaxing hot tub!! Very comfortable and cozy cabin. We would absolutely stay again! As always, we love hearing about great family experiences. Splish Splash is definitely a perfect cabin for the entire family! We look forward to serving you again in the near future. Please keep in mind, as repeat visitors you will enjoy 10% off all future bookings. Hurry back, new memories are waiting to be made! 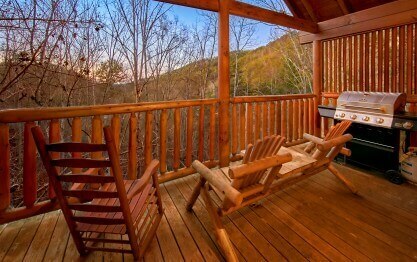 "A much needed get away"
My husband and I just needed to get away and this vacation rental was perfect. It was close to everything in town if we needed anything but was perfect for staying in and totally relaxing. We swam, go…t in the sauna, relaxed in the hot tub and played a few games of pool as well as enjoyed the big sceeen tv. We left totally refreshed. 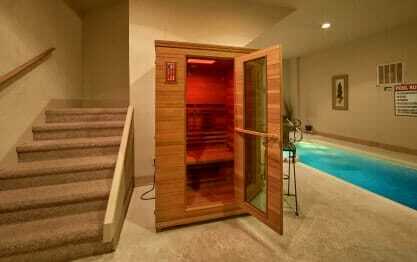 So very needed. Thank you for your wonderful review, Jill. We are delighted that you and your husband were able to revitalize during your stay. Splish Splash is definitely the perfect cabin to relax, create lasting memories and enjoy top-notch amenities. We hope you will make time to visit again very soon. Please keep in mind, as repeat customers you will enjoy 10% off all future bookings. Hurry back, new memories are waiting to be made! Thank you for your fantastic review, Joel! We are delighted to hear that Splish Splash not only met, but exceeded your expectations. We appreciate your business and hope you will return again for a stay in one of our luxury cabins. Everything was wonderful! My husband and I will definitely come back and the location made it even better, we had our privacy but not so far from everything we wanted to see and do. Thank you for taking the time to share your wonderful experience with us, Georgiana! 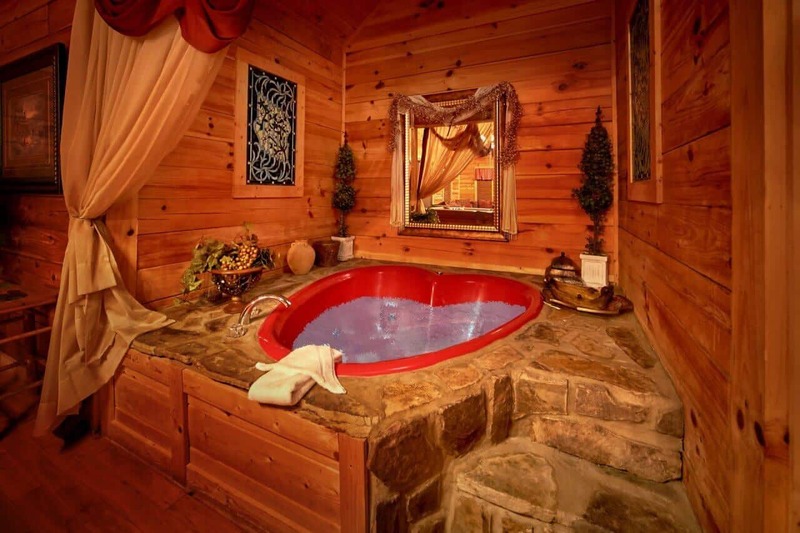 You certainly chose the perfect cabin for a romantic get-away. We enjoyed having you as a guest and would consider it an honor for you to stay with us again. Please keep in mind, as a returning guest you will enjoy 10% off all future stays. Hurry back, your next adventure awaits! It was really nice. We enjoyed it. Thank you for your wonderful review, Monique. We are pleased that you enjoyed your cabin stay and hope that you will make plans to visit often. Please keep in mind, as repeat customers you will enjoy 10% off all future bookings! "Best Cabin I have stayed in!" This was my first time using Elk Springs as a Cabin Rental. This cabin far exceeded my expectations! It was roomy, yet cozy. My boyfriend and I had a great time using the pool. This cabin was perfect …for our romantic getaway. The cabin was just far enough away from the Pigeon Forge and Gatlinburg areas. I would highly recommend this cabin for a small family, or couple. I plan on renting this cabin again because it was so much fun! Thank you for your wonderful review, Elizabeth. We are delighted you and your boyfriend were able to enjoy some relaxing time away. It sounds like you chose the perfect cabin to create lasting memories together. Splish Splash is very cozy and has some top-notch amenities for everyone to enjoy. We hope that you are already planning your next visit and we certainly appreciate all recommendations. Please keep in mind, as returning guests you will enjoy 10% off all future bookings. Hurry back, new memories are waiting to be made! We loved our cabin. Great stay at elk springs and will stay again. Thank you for your wonderful review. We are delighted to hear from another satisfied guest! We look forward to your future visit and keep in mind as a repeat guest you will enjoy 10% off all future bookings! Hurry back. Thank you for your 5-Star review, Daniel! We are delighted to hear you enjoyed your stay. We enjoyed having you as our guest and hope you will consider staying with us again during your next visit to The Great Smoky Mountains! We had an amazing time! FAR! We didn't want to leave. Elk Springs Resort provided us with excellent customer service, and will definitely use this company again. Thank you Elk Springs Resort for making our vacation AWESOME!!! Thank you for your 5-Star review, Tara! We are happy to hear your stay was exceptional. We pride ourselves in providing the type of service we would want our own families to enjoy. We enjoyed having you as our guest and hope you will make plans to visit again soon. Hurry back, your next adventure awaits! The cabin was great!! My wife and I had a great time!!! Thank you for your great review Ron! We are delighted that you enjoyed your cabin stay and hope you will join us again during your next visit to the Smokies. Keep in mind, as returning guests you will now enjoy 10% off all future bookings. Hurry back, new memories are waiting to be made! This cabin was wonderful for my husband and I with our two small boys. Close in vicinity to everything and had everything we could want. The pool was just big enough for us to splash around in and keep our kids content. Would definitely revisit. Thank you for your kind review, Stacie! We are excited to hear your stay was exceptional. 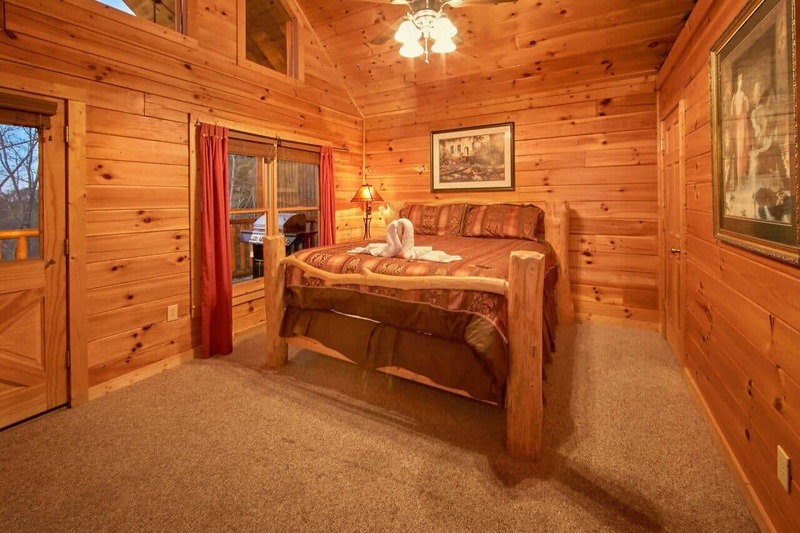 It sounds like you chose the perfect cabin! We love to hear the wonderful stories of special memories being made during your stay. We enjoyed having you as our guest and hope you will visit often. Please keep in mind, as a returning guest you will enjoy 10% off all future stays. Hurry back, your next adventure awaits! We are delighted to hear you enjoyed your stay with us, Diana. Please keep in mind, as a returning guest you will enjoy 10% off all future stays. Hurry back, new memories are waiting to be made! Very nice cabin. We arrived to a clean fully functioning cabin. They even supplied starter necessities. Very peaceful and beautiful setting. We appreciate your kind words and your wonderful 5 star review, Tina! We hope you will consider staying with us on your next visit to Gatlinburg. Please take advantage of your 10% repeat guest discount at the time of your next booking! We are pleased that you found your stay at Splish Splash to be wonderful! This cabin has been a hit with couples and small families alike. 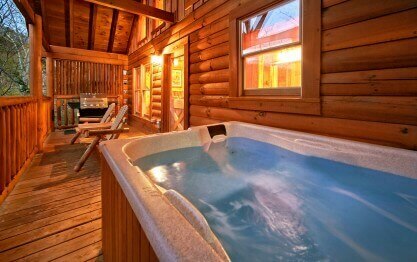 What better way to spend some time relaxing than in a cabin with your very own indoor pool. We look forward to having you back for a future stay! Splish Splash is a great cabin with many amenities. We only left the cabin to go to a restaurant. Having your own pool was so great because you could swim whenever you want. This cabin is perfect for couples or small families. Our guests enjoy having their very own swimming pool all to themselves that they can enjoy no matter what the weather outside is like! 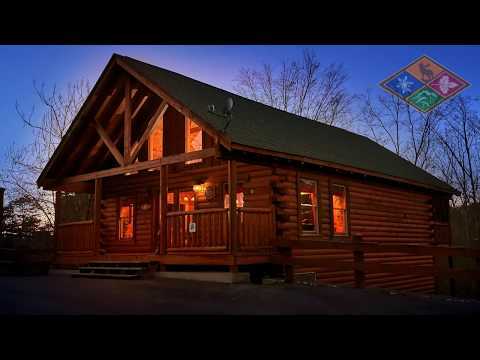 It sounds like you made the perfect cabin choice to enjoy a quick cabin getaway experience in. We hope you are already planning a return trip! Thank you for your feedback, Jason. 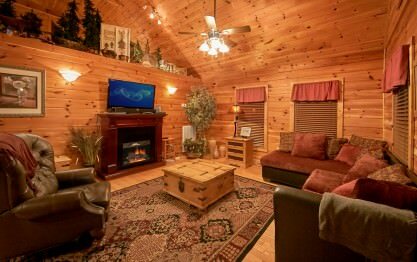 This cabin has been a popular choice for couples seeking a romantic cabin getaway. With your very own indoor pool, you don't ever have to leave the cabin and can enjoy some much needed rest and relaxation in your own little home away from home. Congratulations on your marriage from all of us here at Elk Springs Resort! "Great Time at Splish Splash"
The cabin was exactly as advertised & pictured. The pool was a good size for 2 kids & 2 adults. We had no problems with directions, check in, or check out. We certainly appreciate the 5-star review regarding your recent stay at Splish Splash. It is our pleasure to provide our guests with a home away from home cabin experience and to make the entire process as stress free as possible. 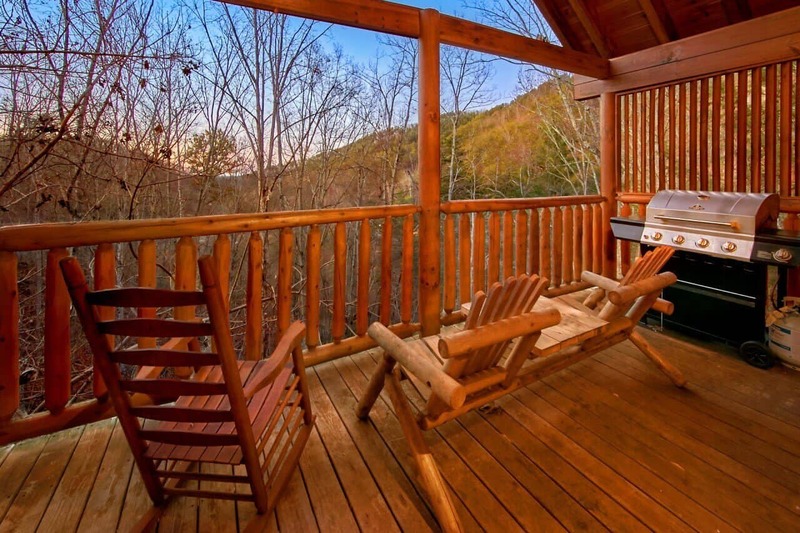 It sounds like you and your family made a perfect cabin choice for your time here in the Smokies. We hope you will return again for many years to come. Elk Springs has many luxury cabins to choose from and there are no two alike! The cabin was wonderful! It exceeded our expectations. Everything was spotless and the bed was so comfortable! Thank you for your 5-Star review, Natasha. We are happy to hear we exceeded your expectations. We enjoyed having you as our guest and hope you will consider staying with us again during your next visit to our beautiful Great Smoky Mountains. It was wonderful. We really enjoyed ourselves. Thank you for your wonderful review, Teresa! We are happy to hear your stay was exceptional. We enjoyed having you as our guest and hope you will make plans to stay with us again! Thank you for allowing us to be a part of such a special celebration, Margret! Congratulations! We enjoyed having you as our guest and hope you will consider making Elk Springs Resort part of your anniversary plans for many years to come. Please keep in mind, as a returning guest you will enjoy 10% off all future stays. Hurry back, new memories are waiting to be made! "Splish Splash pool time for the child"
We are elated to hear your stay was exceptional, Robert! We enjoyed having you as our guest and hope you will come back and stay with us again. Please keep in mind, as a returning guest you will enjoy 10% off all future stays. Hurry back, new memories are waiting to be made! Stayed 3 nights with 2 adults and 2 children. Cabin was very nice, especially enjoyed the pool. Thank you for your 5-Star review, Tim! We are happy to hear you enjoyed your stay. We hope you will make plans to come back and visit with us as often as you can! The cabin met or surpassed our expectations in every respect. It was spacious enough that we and our kids didn't feel like we were on top of each other but also provided a closeness we look for in a f…amily vacation. The pool and hot tub were clean and the perfect temperature. The bed was so comfortable that we all slept great, even though both kids insisted on sleeping with us every night. The views weren't spectacular if you want to stare at mountains from the balcony, but we liked seeing the trees from a higher perspective than usual. The location feels secluded but is actually pretty close to Pigeon Forge and Gatlinburg where the attractions are. We saw Wonderworks, Ripley's Aquarium, the Rainforest Zoo, and the Big Top Arcade, and had wonderful times and highly recommend them all. Overall, a fantastic family vacation that we look forward to doing again! Thank you for sharing your experience with us, Erika! We are delighted to hear you and your family enjoyed your stay. We certainly agree, Splish Splash is the ideal cabin for family fun. It sounds like many wonderful memories were made! We hope you will make plans to come back and visit with us again often.